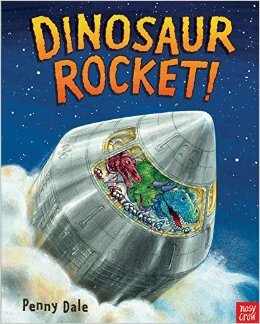 Dinosaur Rocket! 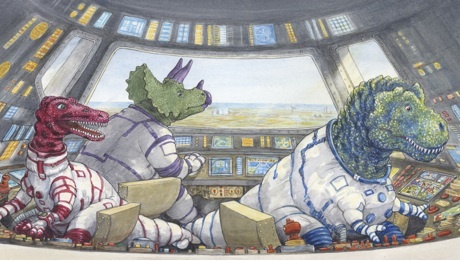 is the fourth book in British author and illustrator Penny Dale's dinosaur-transportation series and I just had to review it because, well, dinosaurs in space! Dale's text is energetic, with a sing-song-y pace. While she keeps her text simple, her illustrations are filled with details that little listeners will love. 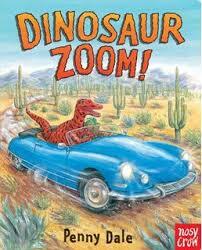 Reading Dinosaur Rocket!, I almost forgot that this was a dinosaur book as I was poring over every page. 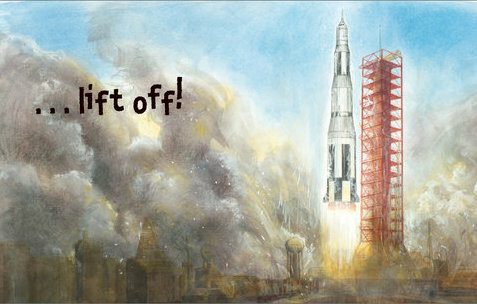 My favorite, which I couldn't find an image of, is the dinos boarding the capsule after taking the long elevator ride up to the top. A helicopter hovers nearby and emergency vehicles, hangars and buildings can be seen on the ground below - a great perspective. Once on the moon, there is all sorts of equipment for doing research, lunar rovers and some laughing, "playing and floating in space! Floating in space and playing soccer!" 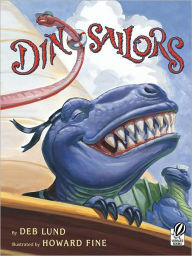 Dale keeps a sense of playfulness throughout that young readers will love. 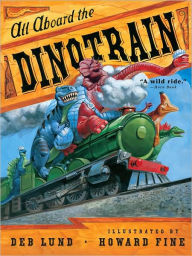 Dale ends Dinosaur Rockets! spectacularly, with the capsule landing in the ocean, an aircraft carrier nearby, sea helicopters taking off to pick up the space travelers. 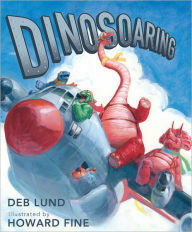 And best of all (as if it could get much better) the end papers for Dinosaur Rockets! 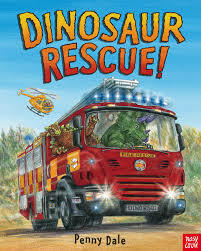 begins with images and names of the dinos in the book and ends with the images and names of the vehicles and equipment used in the book! 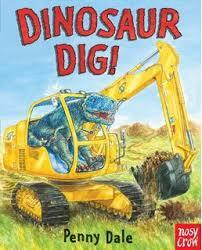 More DINOSAUR books by Penny Dale!